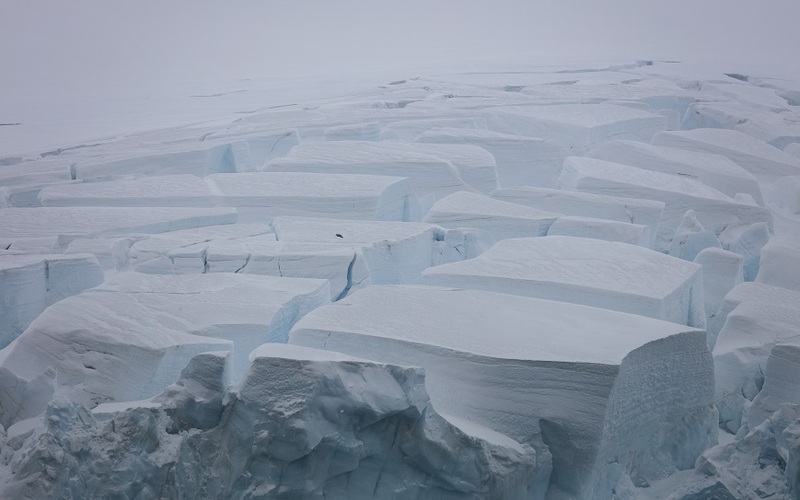 Close up on the glacier in Marian Cove. Our science has begun! 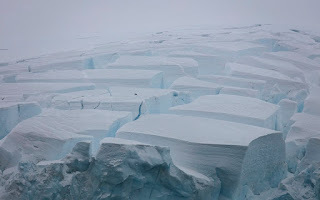 We are in Marian Cove, near King George Island, along the Antarctic Peninsula. The ship is slowly moving up and down the fjord, carved by the retreating glacier. At this site, we have a series of instruments to deploy, each with a different agenda for collecting data! Immediately upon arrival at the site, we deploy an XBT to quickly collect data to understand how the speed of sound changes through the water column. We then move to the Multibeam Echo Sounder, which is an underwater sonar system used to survey the bathymetry or depth of the seafloor. Up next is the CTD rosette, used to collect water for dissolved oxygen, microplastics, and environmental DNA. After the CTD is complete, we then deploy the Shallow Underwater Camera System to have a good look at the bottom of the seafloor. Here are some photos of what lives 100 meters under the sea in a fjord! Then, we will deploy trawls, grabs, and multicores to collect similar animals to the ones in the photos. Stay tuned to see what we catch in our nets! 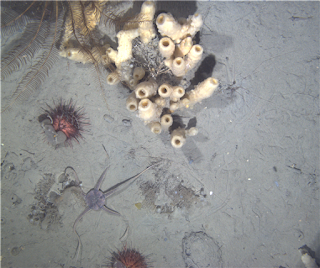 Animals such as sponges, sea urchins, and brittle stars on the sea floor. Photo taken with the Shallow Underwater Camera System. 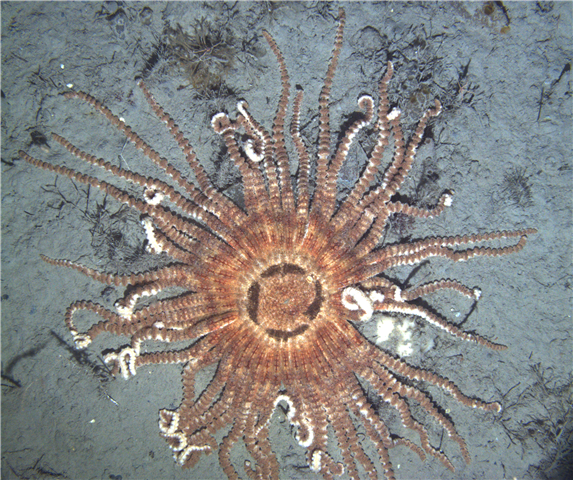 A sunstar Labidiaster annulatus on the seafloor. Photo taken with the Shallow Underwater Camera System.